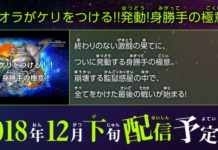 After the Dragon Ball Heroes Episode 1, it was quite clear that we will see the evil Saiyan in Episode 2, but we did not expected the real action will take place this soon, which proves that Dragon Ball Heroes Episode 3 is going to mind-bloooowing. The Evil Saiyan shows the new Ki and we will be seeing how powerful his Ki is, but what we are expecting in the EP 3 is the fight between the Evil Saiyan & fused Goku & Vegeta. The Potara fuse has a huge potential that gives the power as great as the Supreme Kais, which means the fight between the Evil Saiyan and Fused Goku and Vegeta is going to take some series action that all the Dragon Ball fans are waiting for. We cannot forget about Trunk and Coola’s new form “Golden Coola”. We have also seen Mai giving Trunk his Brave Sword. All of them fighting to Evil Saiyan defines how powerful his KI is. During the battle, we can see if any of the members get affected after touching his KI, which can turn the game. 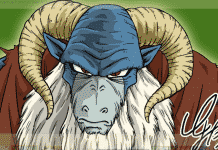 It seems that Kaioshin already knew that something bad is going to happen, hence he gave his Porata to Mai. We are really not sure on how this new Dragon Bal Heroes series is planned, but it is quite sure that the series is meant to be an action sequel. The only thing that we hope is that the episode date to not get postponed like the last time. 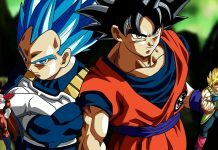 We are finally going to see the most awaited battle between the Evil Saiyain and Fused Vegeta and Goku.